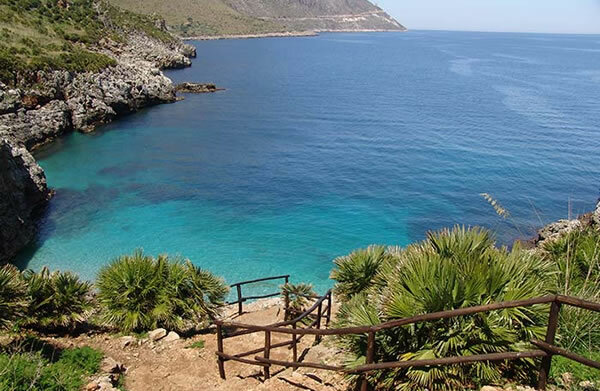 Home » Travel tips » 10 things you must absolutely eat in Trapani province. Sicilian cuisine is famous throughout the world for the variety and uniqueness of the dishes and recipes. Here, the mingling of peoples and cultures have created a gastronomic hybrid, typical of exclusive to the area. When you arrive in Sicily and you are looking for a "typical" dish, it is not unusual to come across a product that is impossible to eat in other parts of Italy and the world except in Trapani. The favorable climate and the presence of inland countryside (game meat),the sea (fish and shellfish) and arable land (fruits and vegetables) has provided an incredible variety of initial ingredients from which it is then possible to mix and match, creating absolutely unique compositions. >>> ... and here the list of restaurants where you can eat them! 1) The black bread of Castelvetrano . All Sicilian bread is good: a crispy crust enriched with seeds and with just the right amount of salt. Among the Sicilian bread stands out, however, the black bread of Castelvetrano . Produced as slow food, it is even better when almonds are added to the dough. It is very high in calories, but it is certainly worth trying a slice . Made famous by the cous cous fest in San Vito lo Capo, couscous is a dish that has spread across the Mediterranean from northern Africa. Basically it is semolina "incocciata" (mixed in a bowl) with water to make it coarse . 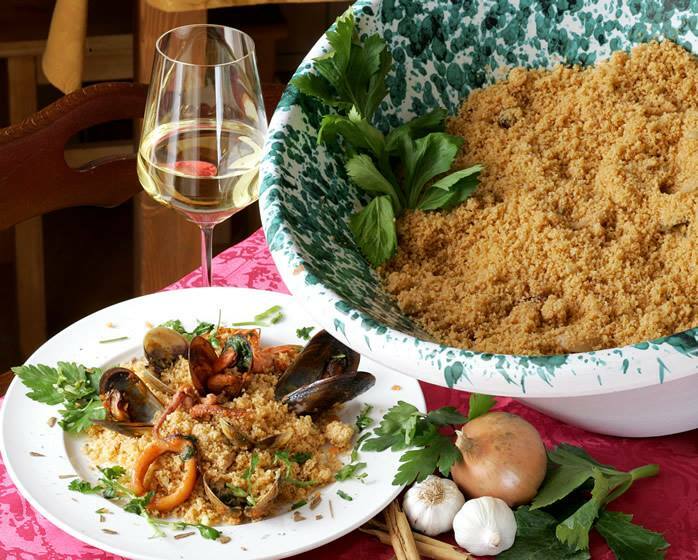 On this base, the couscous is then flavored with vegetables, meat , or, as in the case of Trapani with fish and seafood broth . In fact, the recipe for couscous with fish broth is typical of the area that randmothers prepared it for feast days in special ceramic pots called "mafaradde"
San Vito lo Capo , for nearly a decade has prideed itself on making the best couscous in the province of Trapani. Is it true? We must taste it to see if this rumour is true. 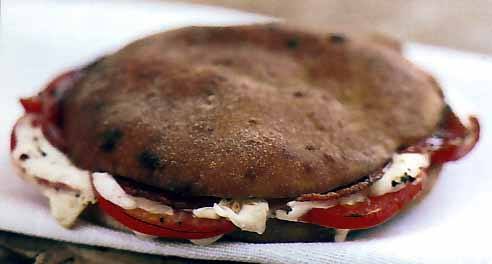 The cabbucio Trapani ( also called panino all´ufficiale ) is a sandwich created from from pizza dough. In any pizzeria in Trapani, in fact, you can order pizza this particular uniquely tasting pizza. 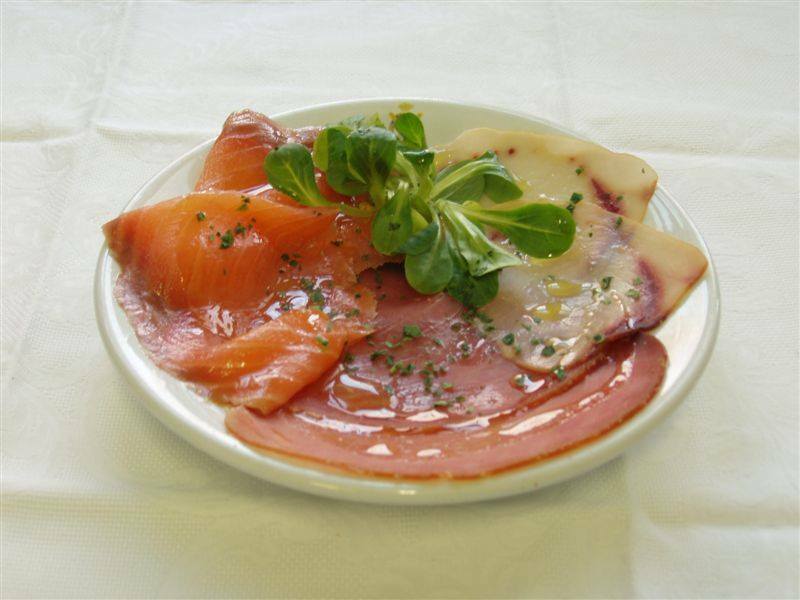 The traditional recipe requres the cabbucio to be seasoned with extra virgin olive oil, anchovies, rosemary and tomato slices, but certainly the most widespread and popular variant is the one with ham and mozzarella cheese. Try them both and then decide what is the best. The name can not be more indicative of the characteristics of the product. First of all, what is a busiata ? The busiata is a kind of typical pasta which takes its name from its preparation. In fact, the dough is rolled around a wooden stick, called " buso " , which gives the pasta both its spiral form and its name . Pesto alla Trapanese is derived from pesto sauce . 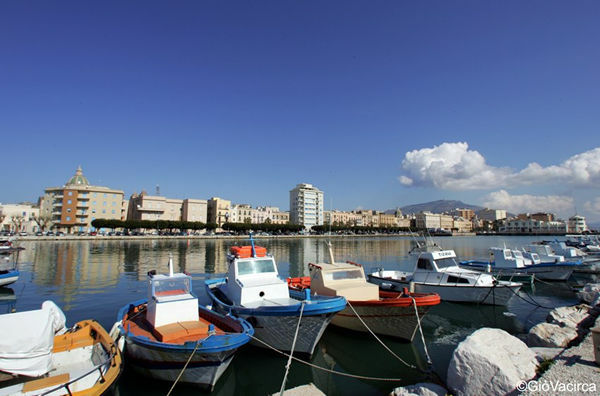 In fact, in past centuries, when Trapani was one of the central ports of the Mediterranean and therefore an important port of call for navigators of the time, the Genoese, a seafaring people par excellence, frequently made Trapani a port of call. The Genoese thus imported the Genoese pesto sauce with basil as the main ingredient . The people of Trapani reworked the pesto, adapting it to the products of their land: tomatoes, almonds and garlic. 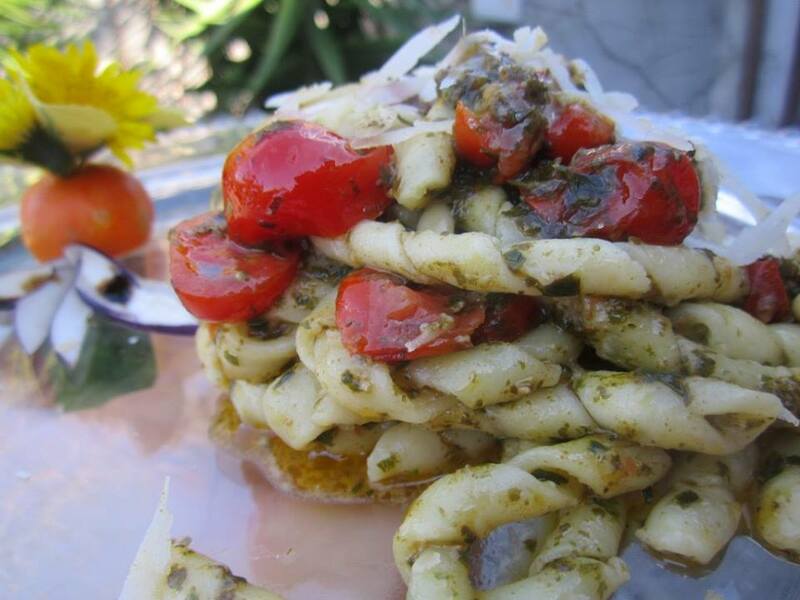 The result is a very tasty pesto that stays trapped in the folds of the dough thus making the pasta full of sauce. Street food is very established in Sicily. Palermo, with its street food has created a real gastronomic sector, worth watching with interest and curiosity. From Palermo, the street food that has spread toTrapani and it is not unusual to find stalls in the middle of the street, intent on selling this typical and tasty food. What is the "Panella" ? Panella is a fritter made ​​with chickpea flour. From a single block of dough made ​​from chickpea flour, strips are cut, often triangular, which are then fried. 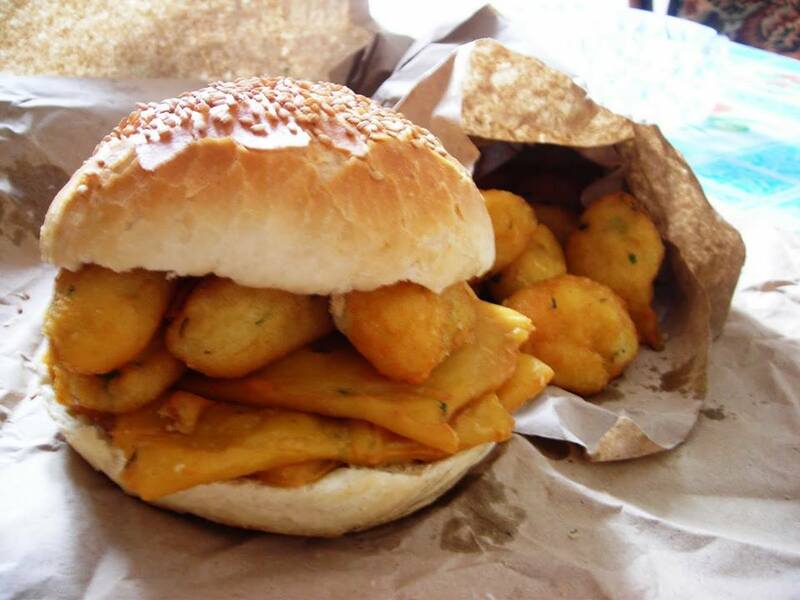 The sandwich, strictly with Sicilian bread with seeds on top is filled with the fritters, salt, pepper and lemon. For the more adventurous, the bread cà meusa is a sandwich with strips of veal spleen and lungs boiled in lard. Some variants add cheese to everything. What is Sicily without its arancini? There is a whole discussion on the semantic question of whether the arancini are " masculine or feminine ." That is, arancino/i or arancina/e ? 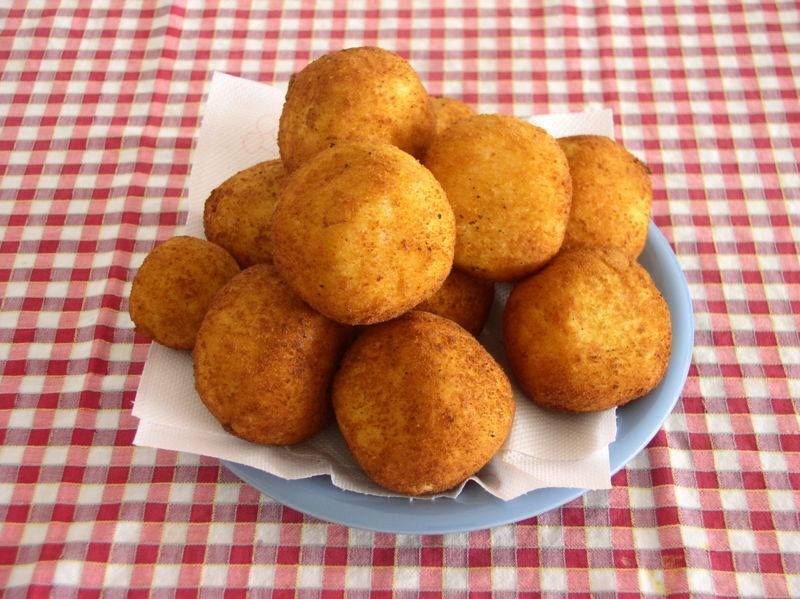 In Trapani they are " Fimmina " thus - arancine. They are prepared in the traditional way with rice and egg. The variation is in the filling that can be with meat sauce and peas or with ham and mozzarella cheese. The whole is then breaded and fried. With just a couple of Euros you can satisfy your appetite and eat typical food. Try them! Whether it be sliced ​​tuna, smoked swordfish, tuna steak, grilled tomato and spaghetti with bottarga, tuna products in the province of Trapani have been the subject of food studies and experiments in past centuries. 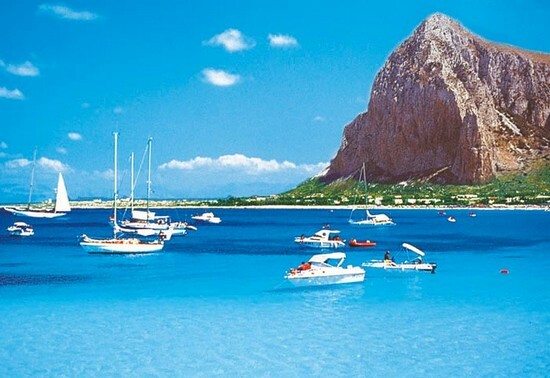 This is due to the presence of numerous tuna fisheries on the coast of the province due to the migratory path of tuna that passes right through the waters of the province of Trapani. 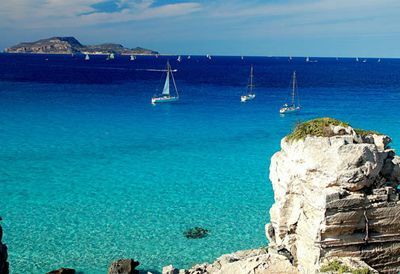 The most famous tuna fishing is undoubtedly the "mattanza" (tuna massacre) of Favignana which, until a few years ago, was carried out just off the island and attracted droves of tourists to watch this ritual of life and death that coloured the waters of the sea red. International treaties and the suppression of Slaughter have meant that this rite, and its protagonists, have became history. But the gastronomic tradition has remained and tuna products are a basic ingredient for appetizers, first and second courses. The cannoli, along with arancina, is a symbol of Sicily in the world. 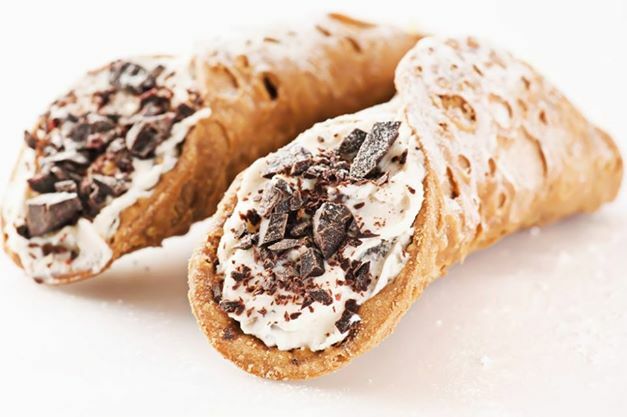 It is a tube of crispy dough, filled with fresh ricotta embellished with chocolate chips. 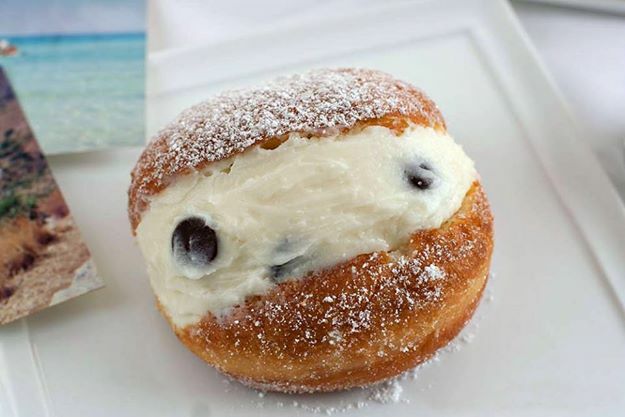 The graffe however, is less known but sweeter than cannollo, it is a pastry filled with fresh ricotta cheese with chocolate chips, dusted with sugar. 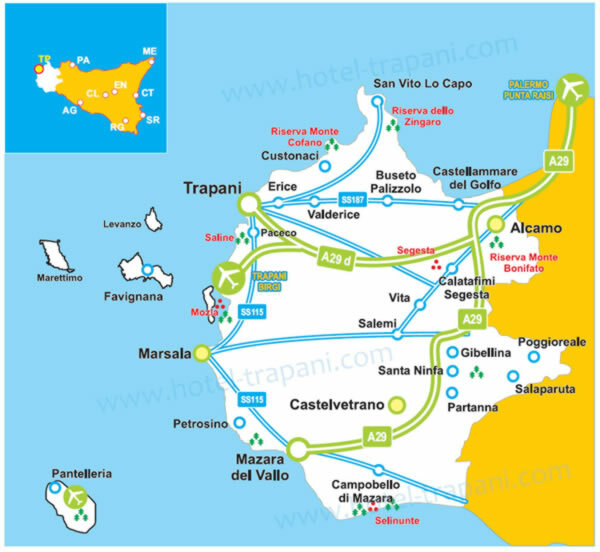 All caponate south of Naples are dishes that you must try but those of Trapani have an edge due to the use of aubergine grown on the 37th parallel which is the Holy Grail of agriculture. 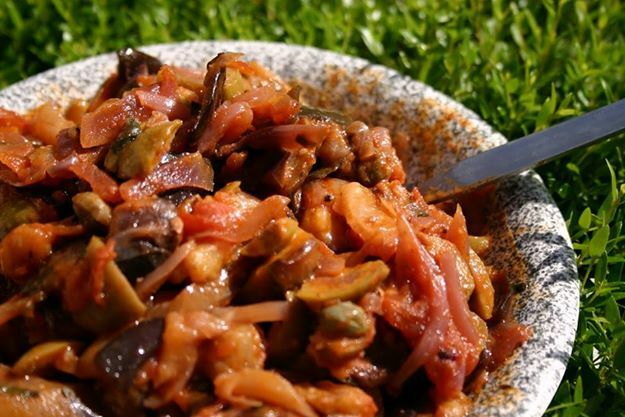 The caponata of auberguine and onions then have that flavour typical of the Mediterranean. Sweet and tempting, you can not help but taste them! This dish is difficult to find at the restaurant, if only because it is very simple but precisely its simplicity makes it a delicacy. 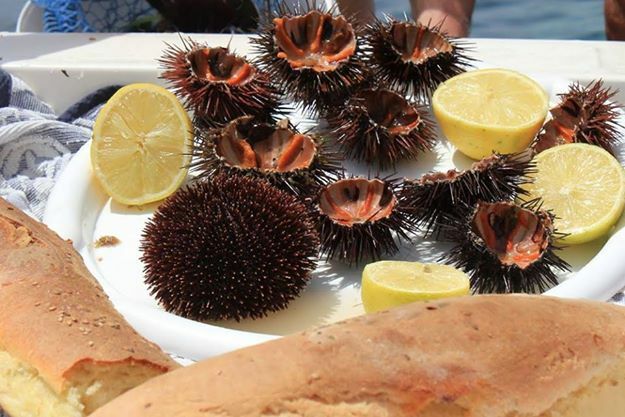 Given the abundance of sea urchins along the coast of Trapani, and this food was a fast and "poor" food that fishermen could prepare immediately on the boat: a sea urchin cut in half with bread and lemon. The part of the sea urchin that is eaten is of course the red part. The dish can be prepared in 5 minutes on your own: just go to any " pisciaro " (fishmonger) and purchase a dozen sea urchins. Cut them in half, sprinkle with lemon and scoop out the red part with a spoon or with bread. You don’t know where to eat? 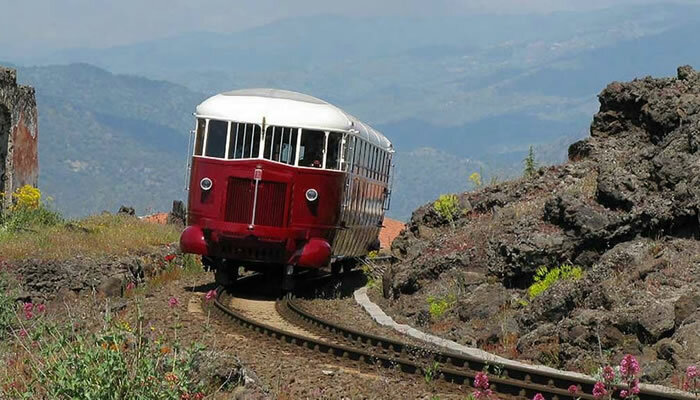 Click on one of the links below to have a list of restaurants in the town you are staying in. 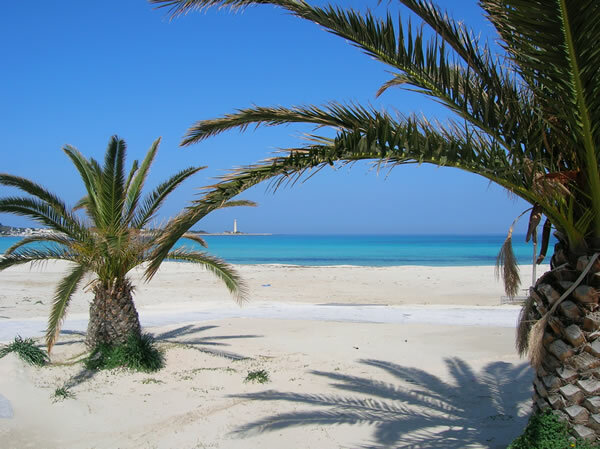 COMMENT "10 THINGS YOU MUST ABSOLUTELY EAT IN TRAPANI PROVINCE." 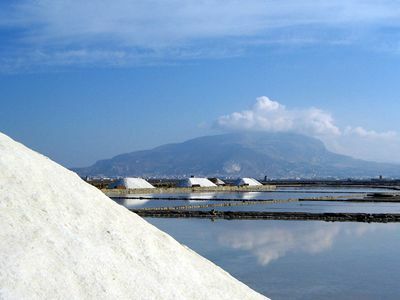 IN ADDITION TO "10 THINGS YOU MUST ABSOLUTELY EAT IN TRAPANI PROVINCE." MAYBE YOU MAY ALSO BE INTERESTED IN THESE ARTICLES?